First time homebuyers are often excited as well as anxious when it comes to purchasing their first new home. The one thing that often clouds the vision of these homebuyers is emotion. Buying a home is a long-term investment and should not be gone into without proper knowledge and understanding. All homebuyers need a friend that knows the legal proceedings as well as one that will guide them in the right direction to find their dream home. This friend is an experienced real estate agent. Before you even start looking at homes, you should visit your bank or a lending company to become pre-approved for a home loan. The main reason is that the pre-approval letter will let you know just how much home you can afford. 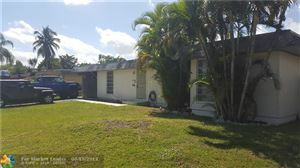 It is very disappointing to find the perfect dream home only to learn you cannot be approved for the loan to purchase. When you apply for the home mortgage loan, ensure that you can actually afford the payment the bank or lender is offering. Pay attention to all details of the loan such as the interest rate and know if it is a fixed rate or variable. With this pre-approval in hand, you can now find a real estate agent that will help you find the home that fits your needs and desires. When looking for a real estate agent, you want one that knows the area well. You may not know the area very well and you may find a home that is in undesirable location. Real estate agents have the experience and training it takes to provide you with all the skills necessary not only to help you find a home, but to negotiate with the homeowner, and can help with paperwork, laws, and the contract. Your real estate agent will ensure that you find the home of your dreams with all the amenities you desire in your new home. What are the most important things you are want in your home such as new carpet, new appliances, or upgraded furnishings such as a sauna tub. Location is also important – do you want be near by schools, your work, or entertainment? You should make a decision how many bedrooms you want, if you want a one story or two stories? Do you want an attached garage? Your real estate agent will help you create an offer when you find a home that fits your needs. You may want to include such things as you would like the carpet replaced or the home painted as part of your offer along with the homeowner paying the closing costs. Your agent can help you create an attractive offer as well as negotiate with the homeowner or their agent to help you get the best deal. You should always have the home inspected. You cannot see that all is in working order such as the plumbing, if there are worn wires or if the roof has some bad areas that need attention. After the inspection, you may have to negotiate again in order to have these repairs done prior to purchasing. You certainly do not want to buy a home that has all kinds of repairs to do without paying less to cover the costs, unless the homeowner agrees to repair the items. Once negotiations are over, you should walk through the home and ensure that everything is ready for you to move in. Your real estate agent will go with you to check to ensure all repairs were completed. At closing, you will sign all paperwork that your real estate agent has thoroughly gone through to ensure that all of your agreements are in place. Move into your new home and enjoy the benefits of having a professional real estate agent through the process.